Tasty morsels, direct from our mags, served up instantly. We know the internet has an endless supply of free surf content, so why would you buy a magazine? Because in Surfing Life you get surf content you can’t find on the internet; content that will make a real and immediate difference to your surfing life. We print five issues a year, each totally dedicated to a single topic: Surfers, Waves, Technique, Surf Travel and Surfboards. With this level of focus we are able to produce content of the quality, depth and substance that will make a real and immediate difference to your surfing life. This ‘more focused, more informed’ publishing approach is what makes us valuable, and why each issue Surfing Life is considered an essential resource to thousands of surfers around the world. We do digital. We have a thriving social media following and this very website, but our focus is on print because in the world of surfing, surf magazines have the credibility, authority and timelessness that no digital pixel can replace. It’s a beautiful counterbalance to the crazy digital world we live in. 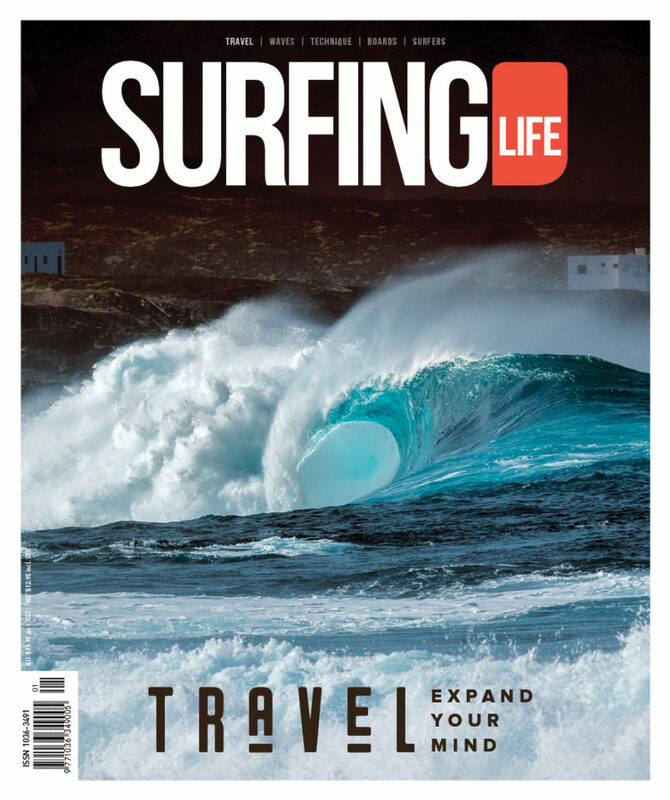 Surfing Life is an independent reader-supported magazine. Advertising on all our channels is kept to a minimum to preserve a premium content experience. Look at this very site. You’ll very rarely see more than one solitary ad. Our advertisers are not sold to, and we don’t compromise our principles to attract their ad dollars. They take ads because they believe in what we’re doing and want to support us. We appreciate that but we don’t depend on them. We depend on you because without our readers, we have no purpose, no reason or will to exist. So if you like what we do and see the value, buy a copy, tell a friend about us, subscribe, or gift a subscription to a lucky surfing buddy. Your support is what keeps us going. Print is great; it’s tactile, indulgent and beautiful. But printing can be toxic and environmentally unfriendly. What are we doing about it? Well we only print what we need and we are committed to reducing our print order to achieve optimal efficiency between supply and sales. We print on paper sourced from sustainable forestry, we use inks that are environmentally responsible, and we offer paper-free digital editions designed for all devices. We’re not solving the problems, we’re very much part of the problem because paper comes from trees, but we’re doing our best to minimise our impact.